The last release for Flintloque and Slaughterloo this month is now online at Alternative Armies. Following up on the Abandoned Good Wagon we have a pack of four new poses of 28mm scale white metal Orcs in the service of the Royul Navye. These can be added to your grand alliance forces and used at sea or in landing party scenarios. Go HERE for the pack or read on for more information and images. Sculpted by Elton Waters. This pack contains four different poses of 28mm scale white metal miniatures. Sailors of the Royul Navye these Orcs are bare footed and wearing straw hats along with short trousers and shirt. 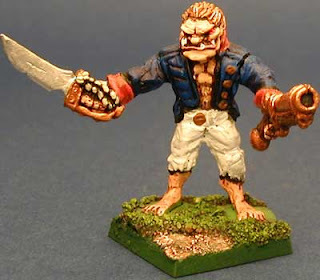 Armed with bessie muskets as well as a Cutlass (sword), hand axe and long barrelled horse pistol they are excellent for inclusion in your Grand Alliance forces alongside Orcs, Ratmen and others. They fit in excellently with the TRA naval packs. This code is supplied unpainted and unassembled but with our cartouche style bases included. You can purchase a pack or you can choose a pro-painted and based pack as well ready for immediate use in your gaming table. Go HERE. 8.00GBP per pack. For those interested in conducting landing operations or any sea starting scenarios in Flintloque we have other codes which will be of use to you. 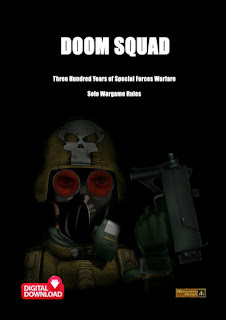 Details of these follow and you can find rules for Orc Marines, Gunners and regulars in 5025 War in Catalucia with more in 5027 Grapeshotte as well. 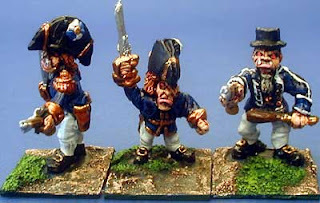 This pack contains three different Orcs armed with muskets and sword. 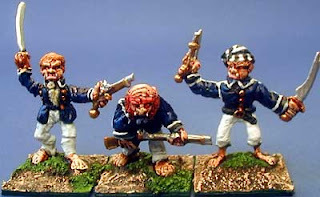 This pack contains three different Orcs in command and senior sailor poses. This pack contains three different Orcs with pistols and musket. This pack contains one ship's cannon with four poses of Orc gunner with gunnery implements. This pack contains one Ogre with big sword and Kannonderbuss pistol. This pack contains three Orcs in command poses which go with 54019. Get the cannon kit from TRA003 on its own! All of the naval packs can be easily combined with other Albion Orc codes for use in play. 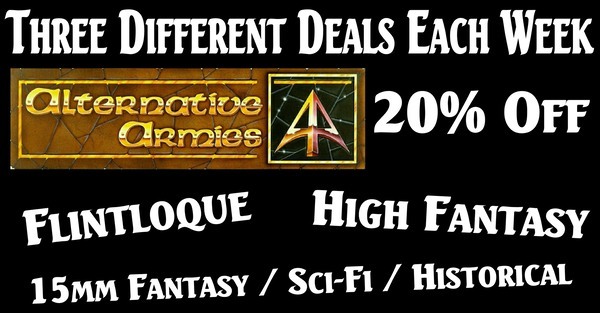 We have three different weekly offers of 20% off a code and all its variants. 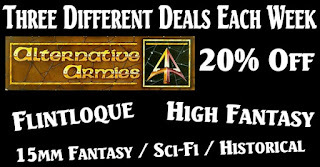 A Flintloque, High Fantasy and 15mm scale offer. These change every Monday morning and lasts seven days. To see the current one go HERE. They are little beauties!! I have resisted buying any of the Jack Tarres and Marines before but i doubt I will resist for long!! Lovely stuff once more AA. The above comment was mine, posted it at work not at home! !